Myofascial decompression is another term for cupping therapy. It aptly describes how cupping works to help you with musculoskeletal disorders and injuries. The suction provided by cupping helps to create a vacuum between the skin and underlying tissues by way of a process that is the reverse of massage therapy. As a result, the area is flooded with fresh blood that is rich in nutrients and oxygen. These healing elements work to heal the tissues so that the pain and stiffness you feel is relieved. But, how does the mechanism really work? To completely understand it, one must first have a clear idea of what is the myofascial network. Therapists looking for a great set of myofascial decompression tools can check out this collection. What is the Myofascial Network? The myofascial network is a layer present just below the skin that comprises of collagen and elastin fibers packed in a viscous liquid. Not only does this layer keep your inner organs protected and affixed in their appropriate places, it serves another very important function. It works to absorb the impact of your movements and keeps your muscles working efficiently and smoothly. Since the entire layer is a network of fibers, any pain caused by an injury or stress in even a small section gets transmitted to other areas in the body. Here’s another interesting factor. Each time you have an injury like a strain or sprain and stress your tissues, the body sets off a healing process. However, when it repairs the tissues, collagen, and elastin, they don’t regenerate in an even pattern like the original tissue you were born with. Instead, they form an uneven scar tissue that is tougher and has less flexibility. This scar tissue also has a lesser blood supply so the healing process might slow down and stop before the tissues are repaired completely. That’s the reason why you may continue to experience pain from time to time. You might even feel stiffness in the muscles or joint long after you first had the injury. Myofascial decompression targets the affected areas by following the meridians on the body. Your therapist uses her keen knowledge of the meridians crisscrossing the body and its muscular structure. She carefully places the cups in the injured areas that have lesions and knots. Even as the skin is lifted and the tissues receive more blood, they begin to heal. As a result, you feel the knots loosening and pain easing. With each subsequent session, you’ll find that stiffness is fading away and movement getting better. While cupping therapy or myofascial decompression works exceedingly well to help any person, young or old with any kind of injuries and muscles lesions, the treatment is particularly beneficial for athletes. When athletes conduct intensive training, they develop micro-tears in their tissues. As these mini-injuries heal, the muscles become stronger and athletes develop more strength and stamina. Myofascial decompression helps the injuries heal quickly so athletes can train for longer and harder. Many physical therapists and trainers are training in the therapy so they can help their athletes in training rooms. Athletes also need help with the healing of the injuries they may incur when performing on the field. And, myofascial decompression or cupping therapy is just what they need to get back in the game quickly. When you first come in for a myofascial decompression session, your therapist will assess the range of motion you can perform comfortably. Using his knowledge of the meridian and myofascial structure of the body, he will identify the exact points that need treatment. Accordingly, he will perform cupping using dry cupping or massage cupping to target the lesions and knots. When he moves the cup over the specific trigger points, athletes may feel a popping sensation as the tension is released with a feeling of deep relaxation afterward. Active flexion or extension movement – This is the movement you make when you raise a joint and create an angle with your body. Like, for example, when you bend a knee and raise a leg. Myofascial decompression sessions have the effect of relaxing the stiffness in the muscles and relieving pain. They can also provide better range of movement. For this reason, athletes may opt for the treatment for relief from many different muscular injuries. These issues can include hamstring and calf injuries along with hip flexor strains like in cyclists and runners. Or, shoulder and back issues that swimmers deal with. Overhead sports may also cause such issues. As a professional athlete training and performing in sports or someone who has musculoskeletal issues, you can opt for myofascial decompression sessions. The American Physical Therapy Association has reported that the therapy can help with issues such as carpal tunnel syndrome, neck pain, lower back pain, and knee osteoarthritis to name a few. Though, they also say that more extensive testing may be needed to understand exactly how it works. Suffice to say that the treatment is an ancient practice that has been used by various cultures all through the centuries and it is now attracting interest in recent times. Mainly because it has clearly indicated that it can help patients recover from their musculoskeletal issues. Ross, Brandi. 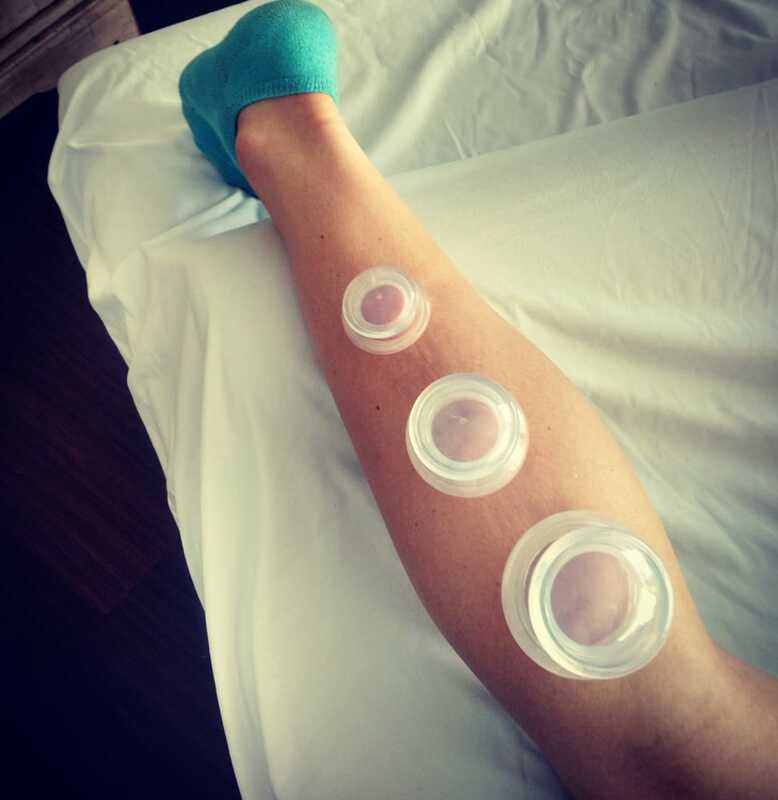 “New Methods Of Myofascial Decompression (Cupping) For Athletes” Breaking Muscle. n.d. Web. 3 Mar. 2017. Ross, Brandi. “Cupping And The Injured Athlete – Does It Work?” Breaking Muscle. n.d. Web. 3 Mar. 2017. Diaz, Brian. “SUSTAINABILITY OF YOU – Myofascial Decompression: Not Just For Olympians.” Endurance Magazine. 5 Sept. 2016. Web. 3 Mar. 2017. Cobian, Daniel PT. DPT. PhD. and Heiderscheit, Bryan PT. PhD. “Cupping: Why We’re All Seeing Spots.” American Physical Therapy Association. 15 Aug. 2016. Web. 3 Mar. 2017.